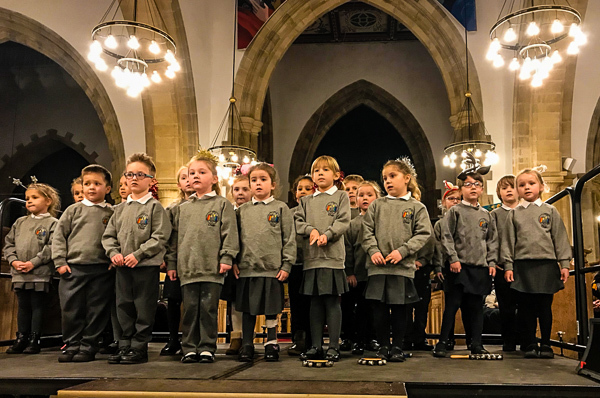 The Infant Choir took part in the Great Yarmouth Music Association’s Sounds4Christmas at the Minster. They sang 2 songs. Their first song was Rudolph the Red Nose Reindeer, which some children rang bells in as well, and their second song was It’s a Magical Time. They all sang beautifully and it was a very enjoyable event.